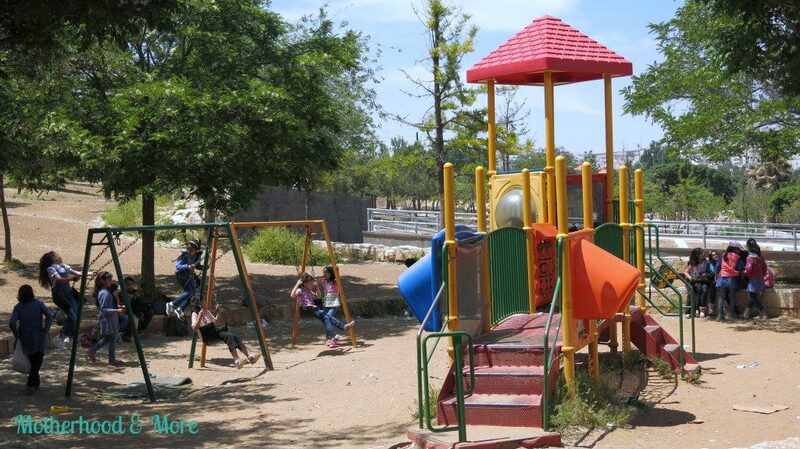 This post is a continuation post for Parks in Amman – Part 1, in which I shared information about these parks (Zahran Park, Housing Bank Park, Japanese Park, Al diyar Park, Al Shuhada’a Park (Martyrs Park) and Fourth Circle Park (Salahideen Park)). 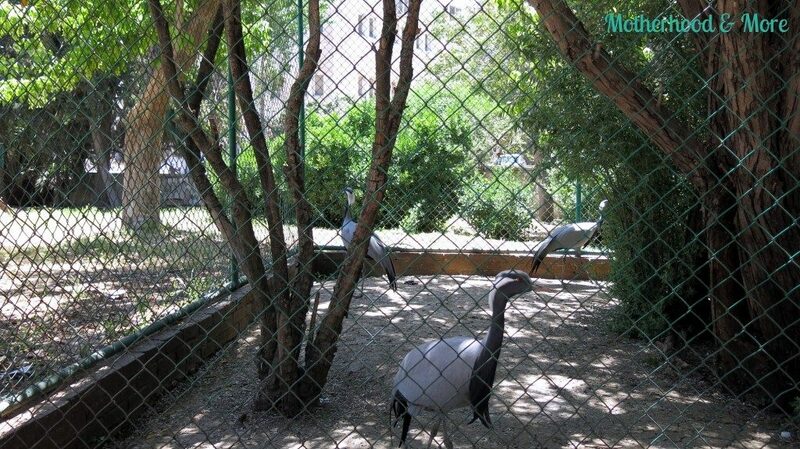 The park is located in Jabal Al Weibdeh, next to Canvas restaurant and Jordan National Gallery of fine arts. An artistic park with beautiful sculptures. There isn’t any playground but there is enough space to run and play hide and seek behind the sculptures and trees. Kids will enjoy running and chasing each other and adults will enjoy the scenery. No fees. It’s located in Shmeisani area. 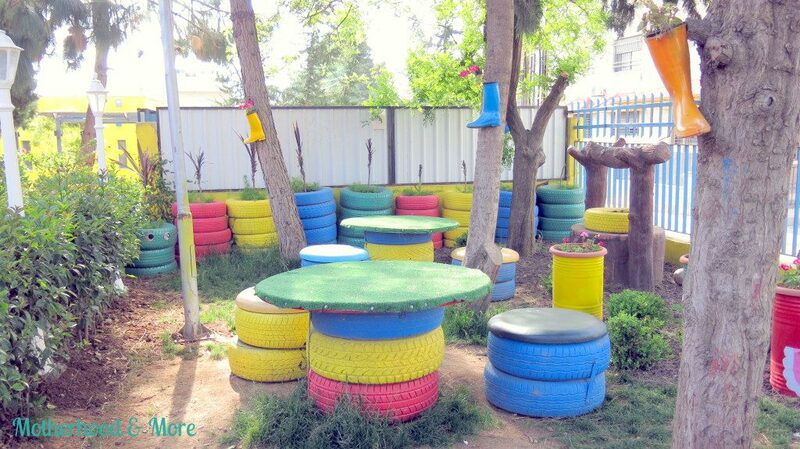 It’s been designed especially for kids and renovated recently with lots of indoor and outdoor facilities. Targeting ages between 6-14 years. It contains lots of arts, music, drama, and culinary activities. And it has lots of playing fields such as basketball, football and tennis fields. Also it features an outdoor playground, library, museum and a planetarium. Plus it has a nice cafeteria. Opening hours: 8:30 AM – 7:00 PM on weekdays, 12:00 PM – 7:00 PM on weekends and holidays. Fees: 2 JDs per child. Zaha Cultural Center is located in Khalda. 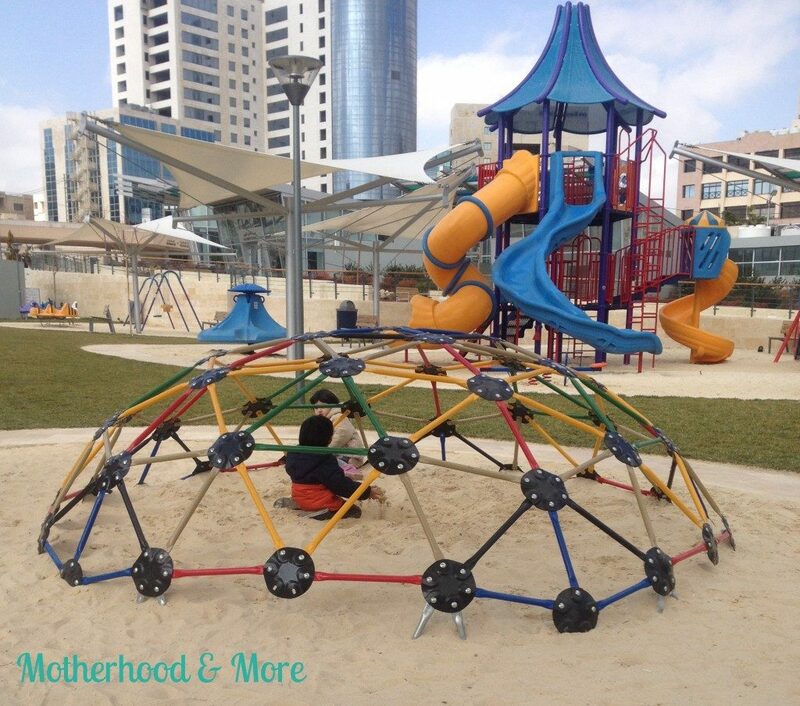 It offers lots of activities for kids with many indoor and outdoor playgrounds. There is a football field. Many slides, swings, floatable slide and monkey bars. A place where kids can enjoy lots of education and entertainment. It targets kids starting from three years old, and they have a special room “Karameesh Room” specially designed for kids 3-5 years old which enhances their communication skills and mental abilities. It has a “Play Time Room” specially created for birthday parties with puppet shows and drawing on faces and lots of other projects. Kewe area targeting kids from 4-10 years. This center focuses on enriching children’s mental, educational, social, art and sport skills. Opening Hours: winter time from 8:00 AM to 6:00 PM, summer time from 8:00 AM to 9:00 PM. No fees. It’s located in Shmeisani. A very nice park that kids and adults will enjoy. You will find some birds. There is a playground with lots of slides, swings and seesaws in the sand. The park has a kiosk where you can get a snack or something to drink for you and your kids. Fees: adults 200 Fils, children above three years 50 Fils:) Tuesday is a day off. Opening hours: from 8:30 AM to 7:00 PM. Has lots of sport facilities and entertainments for you and your kids. It is located between Dakheleyeh Circle and Madeneh Circle. It has lots of space for biking and playing football. Lots of people target Sports City for running or walking. It is mostly crowded on summer time and weekends. There is a good track to exercise, run, walk and enjoy the nice atmosphere. 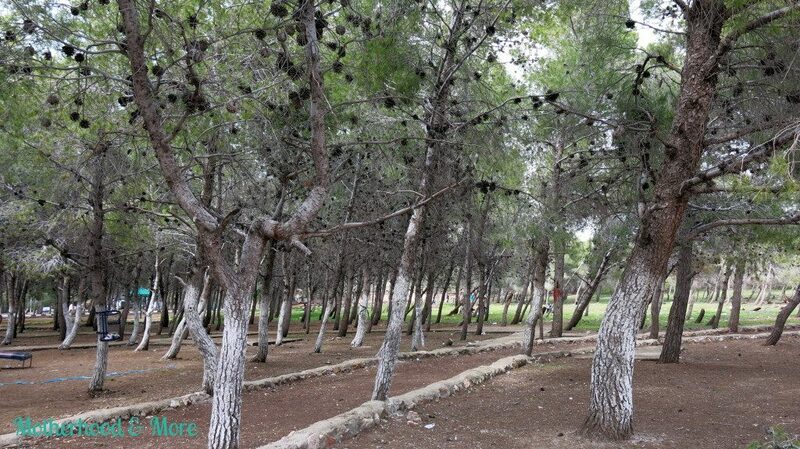 Most famous park in Amman. Who didn’t hear about it? It’s located in the Medical City street. A huge park with lots of entertainments. It has lots of kids playing areas, lots of fields ( football and basketball). Also, it has many places to sit and enjoy the beautiful greenery. With some restaurants and cafes. No fees. I have recently discovered this park thanks to the people who mentioned it in the previous post and I really loved it! 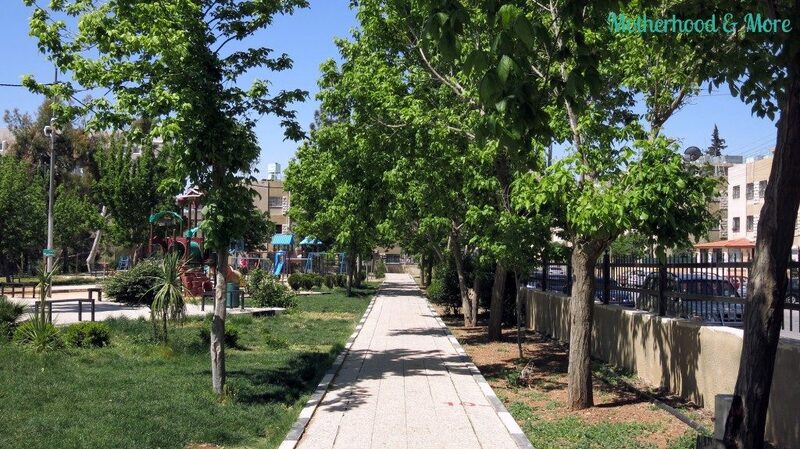 This park is located in Daheyet Al Hussein area. Very nice park with lots of slides, swings and monkey bars in the sand. Also, it has a basketball and a football field which are always open to everyone. What I loved about this park with addition to being neat and clean is the 330 meter track that is very suitable for walking, running or strolling. The park is open until 10:00 PM every day. No fees. 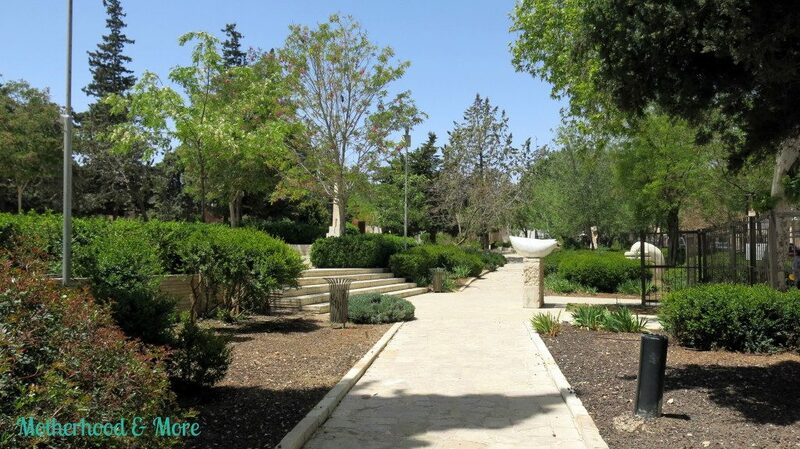 Enjoy visiting Parks in Amman! And if there is any interesting park that is worth mentioning, please don’t hesitate to leave a comment and I will be more than happy to add it to this list!